Backed by over 2 decades of experience in supplying quality metal parts to the automotive and furniture sectors, Roberts AIPMC further diversifies into yet another form of metal processing. Using complete, state of the art machinery and technology coupled with Roberts AIPMC’s known reputation of providing quality products and services for its clients at a fair price. This venture will surely be of high relevance not only to the automotive and furniture sectors but also to various industries that the product may be applicable. If you are a customer looking to purchase construction parts, such as a tiger u-bolt or a steel tube in the Philippines, it’s important to first get acquainted with steel as a material. It would also be vital for you to have general knowledge of everything that goes into steel types for manufacturing, in order to get a good grasp of their wide range of uses and purposes—for appropriation. Basically, there are 4 recognized categories of steel. They include: Carbon Steel, Alloy Steel, Stainless Steel, and Tool Steel. Although all steel is made up of iron and carbon, the grading of the steel varies. Carbon Steel can be further divided into 3 major categories: Low Carbon or Mild Steel, Medium Carbon Steel, and High Carbon Steel. When purchasing a steel tube in the Philippines, it’s imperative to have a clear purpose in mind because types of steel are also demarcated and identified through a variety of factors: Composition, Production Process, Finishing Process, Form/Shape, De-Oxidation Method, Microstructure, Durability/Strength, Heating Method, and Quality Nomenclature. CompositionThe composition of steel could be Carbon Range, Alloy, or Stainless. Steel could undergo Continuous Cast, Electric Furnace, among others. Finishing ProcessThe finishing process of steel could be categorized into Hot Rolled, Cold Rolled, Cold Drawn/Finished, or others. Form/ShapeSteel could be formed into the shape of Bar, Rod, Tube, Pipe, Plate, Sheet, Structural, among others. De-Oxidation MethodThe steel’s de-oxidation method could be Killed, Semi-Killed, among others. MicrostructureThe microstructure of steel could be Ferritic, Pearlitic, Martensitic, among others. Durability/StrengthThe durability of steel is based on varying Industry Standards. Heating MethodThe heating method of steel could be Annealed, Quenched and Tempered, among others. Quality NomenclatureThe quality nomenclature of steel could be Commercial, Drawing, Pressure Vessel among others. 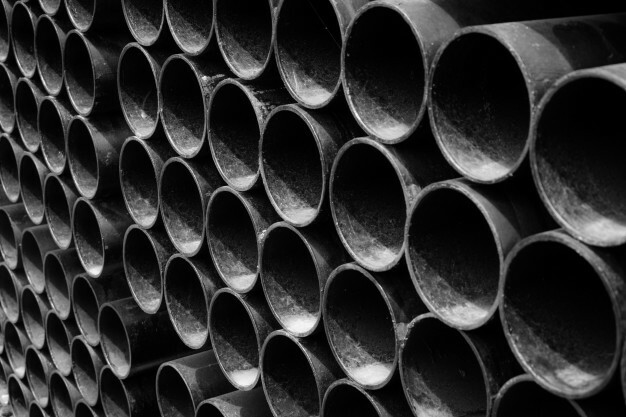 What Are the Differences Between Steel Tubes and Steel Pipes? When looking for a steel tube in the Philippines, it must not be confused with a steel pipe. There are a number of clear differences that point out the major distinctions between steel tubes and steel pipes. A few examples of these include the following: Diameter, Wall Thickness, Structure, Tolerance, Manufacture, Cost, Uses, Material, Property, Finishing, Connection, and Ends. Diameter – Steel tubes are measured by the outside diameter, while steel pipes are quantifiably measured with the inside dimension. Wall Thickness – Steel tubes are specified by thinner thickness, while steel pipes are specified with schedule thickness. Structure – A steel pipe’s structure is always round, while a steel tube’s structure is not always necessarily round. Tolerance – Steel pipe tolerance is always of a looser nature than that of steel tubes. Manufacture – Steel pipe production is a faster process than that of the high quality testing and inspection of steel tubes. This is why steel pipes are being mass produced more. Cost – Steel tube manufacturing consists of a higher level labor and a higher level material. Steel tubes have higher overall production costs than that of a steel pipe. Uses – The main distinguishing factor is that steel tubes are utilized for more heavy duty construction, structure-based purposes, while steel pipes are mostly utilized in moving gases and fluids. Material – Steel tubes are usually chemically consisting of aluminum, brass, stainless steel, etc., while steel pipes are usually made of carbon or alloy. Property – Pressure endurance, yield power, and ductility are more important properties for steel pipes, while thickness, strength, and precision are more important to steel tubes. Finishing – Steel tubes are usually just cleaned and polished, while steel pipes are usually painted, coated, and treated for anti-corrosion. Connection – Steel pipe connection requires more of specified labor skills in welding or threading in order to connect, while steel tubes can be easily conjoined through flaring or brazing. Ends – Steel pipes are typically fixed in form, while steel tubes usually have special finishes that come with irregular ends or special screws or threads. By knowing all of these things, you will have a clearer understanding whether what you need is a steel pipe or a steel tube in the Philippines. Understandably, you would need some time to familiarize it; but you could always turn to this list as your reference. A tube in its purest definition is an enclosed shape used as pieces for structural functions and formations. Tubes can either be circular, square-shaped, and rectangular, depending on how it was made. Although, most steel tubes in the Philippines—whether welded or seamless—are manufactured with alloy. Besides function and purpose, steel tubes and steel pipes also differ in general diameter. Unlike steel pipes, steel tubes can be made without seams. When it comes to the general types of steel tubing, identification is mostly based on purpose: Plumbing and Stainless. These two are majority utilized in aboveground and underground water distribution, medical gas transportation, heating, oil distribution, and drainage systems. Stainless steel is also ideal for heat, ventilation, air conditioning, electronics, aviation, and marine-based applications. Steel tubes are mostly used for industrial purposes based on their qualities of being resistant to corrosion due to high temperature and stainless steel. Plumbing tubes and their wall structures are typically constructed as somewhat thin and connected through means like soldering. Prior to the innovations of stainless steel tubing, galvanized steel tubes were widely used; their interiors were susceptible to corroding over long periods of time, but they usually last for more than 40 years. Stainless steel tubes are resistant to corrosion due to their chrome-based properties. Although most steel tubes are seamed and more expensive in cost, the majority of them are produced and manufactured as seamless. Steel tubes are made seamless by forcing or extruding steel into a tube figure. Steel tubes are crucial components to many realms of any commercial sector. Depending on the application purposes, stainless steel tubes are formed through a mixture of diverse materials with different grades. Steel tubes are generally manufactured through a process using expulsion, gun drilling, or shrilling. Relative to each case, some stainless seamless tubes with irregular shapes require the process of cold forming. Output specificity calls for varying mixtures. Drawn-Over-Mandrel is another method of steel tube formation that consists of shaping metal with a cylindrical material. Welded steel tubes go through a process of the steel material either being hot-rolled or cold-rolled. In order for an improved finish, coils are processed for meticulously desired product outputs. 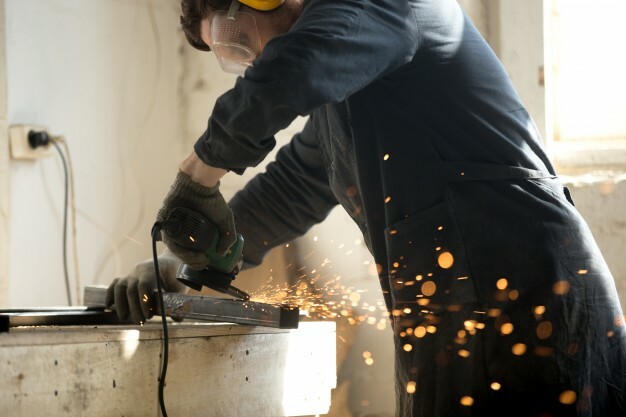 Welded steel tubes are connected through their edges with welding that is electrically resistant when the outside dimensions take final form by going through semicircular rollers. Manufacturing seamless steel tubes in the Philippines generally starts within an arc electric furnace, and then the steel is cast into an ingotor into a bloom. A ‘rough’ tube is shaped from the bloom being rolled into a billet that is drawn with a piercing tool. An elongator with three rollers manipulates the tube into its desired shape, until the diameter and thickness reach their final improved finish. The different formations of stainless steel tubes in the Philippines, which vary in terms of application, are dependent on the required performance measures. Sanitary Steel Sanitary Tubing needs to exhibit susceptibility to germs and bacteria. 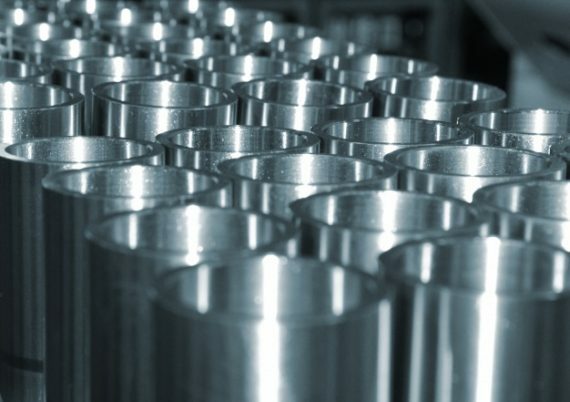 Stainless Steel Mechanical Tubing is utilized to accommodate machines that involve parts like bearings and cylinders. Stainless Steel Aircraft Tubing is primarily military facilitated and used for aerospace material purposes. Finally, in matters involving hydraulics, Aircraft Hydraulic-Line Tubing is the appropriated tubing category. Steel tubes in the Philippines as well as around the globe, whether welded or seamless, undergo additional mechanical processing such as cold drawing which refines the tube’s overall properties, like the surface and dimension finishes. Different heat treatments can also be applied to both welded and seamless steel tubes. Manipulating steel through high-temperature adds more ductility to the material. Steel tubes in the Philippines are known and used for their tough and incredibly strong durability. Steel tubing applies many types of alloys in their varying mixture. Alloys such as aluminum, manganese, titanium, and tungsten are utilized in making the strong material foundations of steel tubes. Steel tubes can be used for both industrial and domestic purposes. Steel tubing for industrial applications is used mainly due to their ability to withstand the most extreme of conditions, while domestic cases are typically gas related or for appliances like refrigerators. 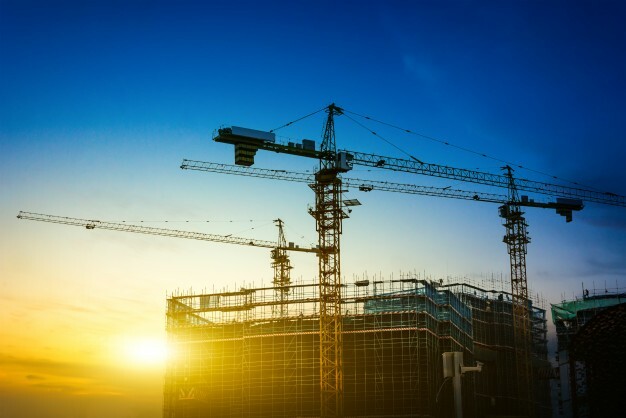 For Construction and Engineering, steel tubing is used in these industries for hollow structural sections—usually its shape is round, square, or rectangle. These different hollow structural section tubes are utilized for different means. Rectangular tubes are used more for rectangular steel frames and are used for loading in several directions. Square and circular steel tubes are used more for columns. Steel tubes in the Philippines play a big role in metal scaffolding. In Automobile Manufacturing, there is a heavy reliance for steel tubes in this industry. Steel tubes that are manufactured to utmost precise measurements are used as some of a vehicle’s most important internal parts, such as the fuel injection, suspensions, and control systems. For Industrial Purposes, steel tubes with a round shape are utilized in transporting liquid and gas to different areas and facilities. The high resistance of steel tubing is ideal for the strength and durability of their dependable material. Steel tubes in the Philippines have the capacity to facilitate and aid permanent industrial structures. Medical Sectors also have a great dependence to the abilities of steel tubing. The medical industry owes much of their assured safety measures to the different types of steel tubes in the Philippines. Steel tubes have been used as the central material for protective railings in places like hospitals. The high precision of surgical tools also utilizes the different, more specified mixtures of the steel tubing process. Orthopedic, braces and other medical products are applications for steel tubing. The medical industry’s infrastructure and facilities include technology and various equipment, which are facilitated and formed from the framework of steel tubing. When it comes to steel tubes in the Philippines, a great company that caters to steel tubing and other manufacturing concerns is Roberts. Roberts was established in 1992. It grew in evolution and became one of the biggest and most authoritative manufacturers in the Philippine industry. They are incredibly dedicated to only the best in product development. However, what sets us apart is that we fully commit to providing the best parts to our customers. Our company aims not just to satisfy our customers, but also to drastically surpass their preliminary expectations. Our superiority in terms of manpower and technical knowledge propels us above our competitors because of our dedication to extensive research—whether it is for a chambered muffler or a steel tube in the Philippines. Roberts is a pioneering force in integrated production for both industrial and automotive parts. 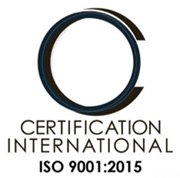 We have a strong commitment to only provide the highest of quality products and services. Our expanding clientele is a testament to our leadership in aftermarket sales. Roberts has also won many prestigious awards from top of the line car manufacturers. Roberts’ accumulative success as a company can be traced to our reliable service that has permeated throughout history. Companies such as Toyota, Honda, and Mitsubishi are continuing to consistently work with Roberts in the field of car production. If you are in need of a steel tube in the Philippines, Roberts offers the excellent and innovative STKM11A Carbon Steel Tube that is an amazing new addition to our list of major products. Our expertise in metal parts enabled us to branch out into new forms of metal processing. Highly efficient machines are responsible for meeting the needs of our clients in both the automotive and furniture industry. The STKM11A Carbon Steel Tube is a perfect choice if you are in need of a strong a fairly priced steel tube in the Philippines. For more information about our products and services, you can click here!